UPSEE 2019 - Application are invited for Entrance Examination for admission to first year courses offered at the Institutions affiliated to AKTU, Lucknow including other universities situated in territory of Uttar Pradesh for the academic year 2019-2020. (UPSEE) 2019 for admission to 1st year of B.Tech/ B.Pharm/ B.Arch/ BHMCT/ BFAD/ MBA/ MCA/MAM and 2nd year of B.Tech /B.Pharm/MCA (Lateral Entry) Programs for the academic year 2019-20. The Entrance Exam for admission to first year of the following courses offered at the Institutions affiliated to AKTU, Lucknow including other mentioned universities situated in territory of Uttar Pradesh for the academic year 2019-20 shall be conducted by Dr A.P.J. Abdul Kalam Technical University Uttar Pradesh, Lucknow. The eligible candidates seeking direct admission to second year of B.Tech, B.Pharm, or MCA degree holders in institutions affiliated to AKTU, Lucknow. Note: UPSEE-2019 is being conducted for admission to all the Technical Institutions/Colleges affiliated to the AKTU, Lucknow. 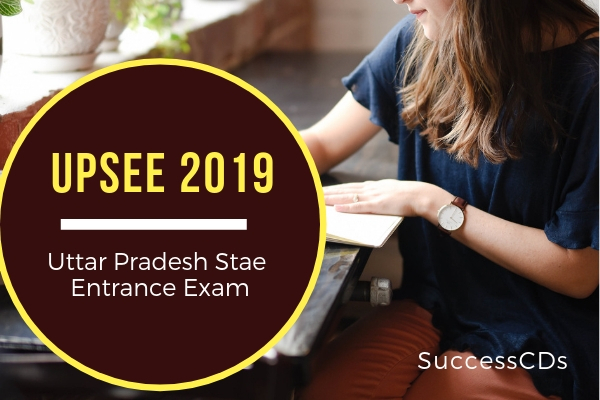 Admissions in some of the courses in the other Universities of U.P are also done through UPSEE-2019. First Year of B. Tech/B. Pharm: Applicants must have clearly passed intermediate exam of U.P. Board or 10+2 level exam or its equivalent from any recognized Board /University without grace in required each compulsory subject; and securing minimum 45% marks (40% marks for SC/ST Category candidates) in aggregate in required three subjects. First Year of BHMCT/BFAD/BFA: Applicants must have clearly passed intermediate exam of U.P Board or 10+2 level exam or its equivalent from any recognized Board/University and securing minimum 45% marks without grace (40% marks for SC/ST category candidates) in aggregate. First Year of B.Arch. : A candidate must have clearly passed intermediate exam of U.P. Board or 10+2 level exam or its equivalent from any recognized Board/University and securing (i) minimum 50% marks in aggregate and (ii) clearly passed without grace, each compulsory. Applicant possessing three years Diploma in Architecture (10+3) recognized by Central/State Govt., is also eligible for admission to first year of B.Arch. only, provided the candidate has passed the Diploma Exam securing minimum 50% marks in aggregate without grace. All candidates who are eligible for admission in B.Tech Courses are also eligible for B.Tech Agriculture Engineering) and B.Tech (Biotechnology). First Year MBA: Applicant must have passed bachelor’s degree of minimum 03 years duration from any recognized university of India, passing clearly without grace marks with an aggregate of minimum 50% marks for General & OBC and 45% for SC/ST category. First Year MCA: Candidate must have passed bachelor’s degree course of minimum three years duration from any recognized university with Mathematics as a subject at 10+2 level or graduate level; the candidate must have clearly passed without grace marks with an aggregate of minimum 50% marks for General & OBC and 45% for SC/ST category. First Year MAM (Dual Degree): Candidate must have passed Intermediate (10+2) exam of Uttar Pradesh Board or its equivalent from any recognized Board/University and securing minimum 45% marks without grace (40% for SC/ST category) in aggregate. Second B.Tech (Lateral Entry): Candidate must have passed three years Diploma in Engineering course, securing minimum 45% marks for General & OBC and (40% marks for SC/ST category) in aggregate or three years B.Sc. degree plus having passed 10+2 exam with Mathematics as one subject, securing minimum aggregate marks of 45% for General & OBC and 40% for SC/ST category in B.Sc. Second Year B. Pharm (Lateral Entry): Candidate must have passed Diploma in Pharmacy, securing minimum aggregate marks of 45% for General & OBC and 40% for SC/ST category). Second Year MCA (Lateral Entry): Candidate must have passed BCA/B.Sc. (IT/CS) of minimum three years from any recognized Indian University or its Equivalent recognized by AIU, with minimum 50% (45% for SC/ST) marks in aggregate plus having mathematics as a subject at 10+2 level or Graduation level. Number of admissions in all courses offered at Institutions affiliated to AKTU, Lucknow, will be only through UPSEE-2019. State Govt. has permitted 10% of the total sanctioned seats available in Technology/Architecture courses in private institutions affiliated to AKTU to be filled through combined merit of UP Domicile and Non-UP Domicile candidates without reservation subject to eligibility. Thus, 10% of the total sanctioned seats in Technology/Architecture courses in Private Institutions, affiliated to AKTU, shall also be opened to the candidates; these seats shall be filled on the basis of UPSEE-2019 Merit. State Govt. has also permitted 20% of the total sanctioned seats of MBA in Private Institutions to be filled on the basis of latest CMAT-2019 merit. The UPSEE 2019 will be held in various cities all across the country. Candidates applying for the exam will have to choose three cities at the time of application form submission. However, they will be allotted the same subject to the availability of slots in a particular centre /on a particular date. The duly signed completed "Confirmation Page" along with copy of challan (if the payment is made through bank challan) must be sent by Speed Post/Registered Post only to the following address "The Registrar (UPSEE-2019), Uttar Pradesh Technical University, I.E.T. Campus, Sitapur Road, Lucknow-226021". Admit card will be available online on the website www.upsee.nic.in to every candidate. No candidate will be allowed to appear in the exam without admit card. If any candidate is unable to download his/her admit card, he/she should contact the helpline as indicated on the website www.upsee.nic.in or send an email to the mail address helpdesk.upsee2019@gmail.com. The interested candidates can submit the online application through the official website of UPSEE www.upsee.nic.in from 23rd January 2019. The last date to submit the online application for UPSEE 2019 is 15th March 2019. The information brochure will be available online on the websites www.upsee.nic.in only; the same can be downloading and/or printed for reference by the candidates; the application form can be filled in Online through Internet from any place of convenience. Application Form for UPSEE-2019 can be submitted online only through website www.upsee.nic.in from 23rd January 2019. The Online Application Form is self-explanatory; for assistance, in case of any difficulty in filling up online application form, candidate may contact at Toll Free No. : 1800-180-0161 or send an Email at helpdesk.upsee2019@gmail.com with subject line "Seeking Help". The details of tuition fee for the institutions affiliated to UPTU is available on the website of Fee Fixation Committee www.upsee.nic.in.